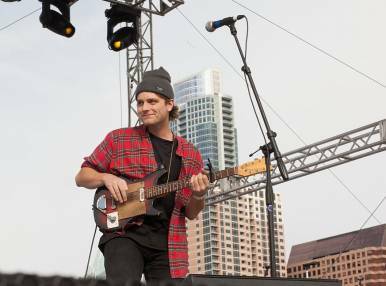 Unpredictable Mac DeMarco has made it a habit to surprise his fans who may only wonder what exactly he intends to bring to Moscow in October. One thing that Muscovites can be sure of is that they will hear his famous hit, My Kind of Woman.This composition, just like Mac’s other songs, can be easily downloaded from anywhere, but Mac DeMarco still manages somehow to sell hundreds of thousands of copies of his singles and albums. Concertgoers will have a great night at the Arbat Hall, enjoying DeMarco’s creative style that contrasts formats and moods.